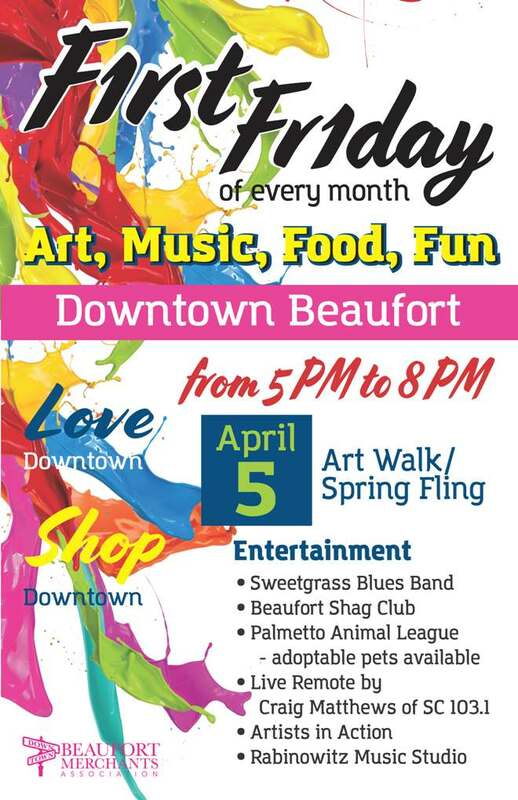 Enjoy Spring Fling-ing in Beaufort! Our next First Friday will include ART WALK, plus entertainment, artists in action, and even pets available for adoption. Mark your calendar for April 5 from 5 pm to 8 pm, and come say hello in my artsyletters studio at 811 Bay Street #3 (upstairs). The street will be closed, so it will be a great outing for the whole family. See you there! Here’s to an Art-Filled 2019! Bundles of thanks to so many wonderful artsyletters patrons for making 2018 the best year ever. 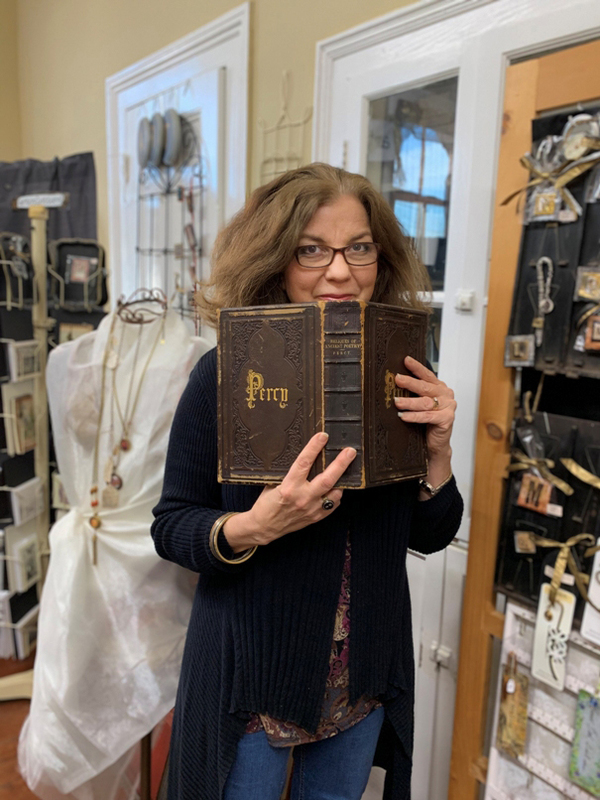 Join me for creative adventuring in 2019! For the month of January, my Etsy shop will be open 24/7, but my shop hours in downtown Beaufort will be limited to appointments only. (You should see the organizing I need to do! ;0) ) I have regular freelance writing and art deadlines this month, as well as travel plans to see family and friends, so my actual studio will be doing a wee bit of hibernating. 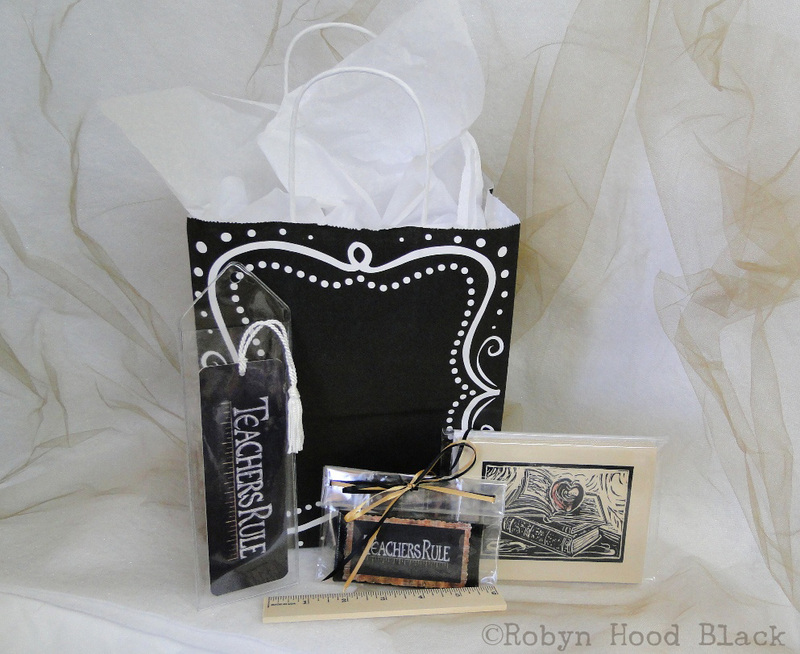 In February, I’ll be open for First Friday and across all channels in time for Valentine’s gifting! Hmmm…. 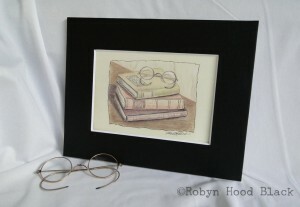 now what would your Literary Loves love the most? 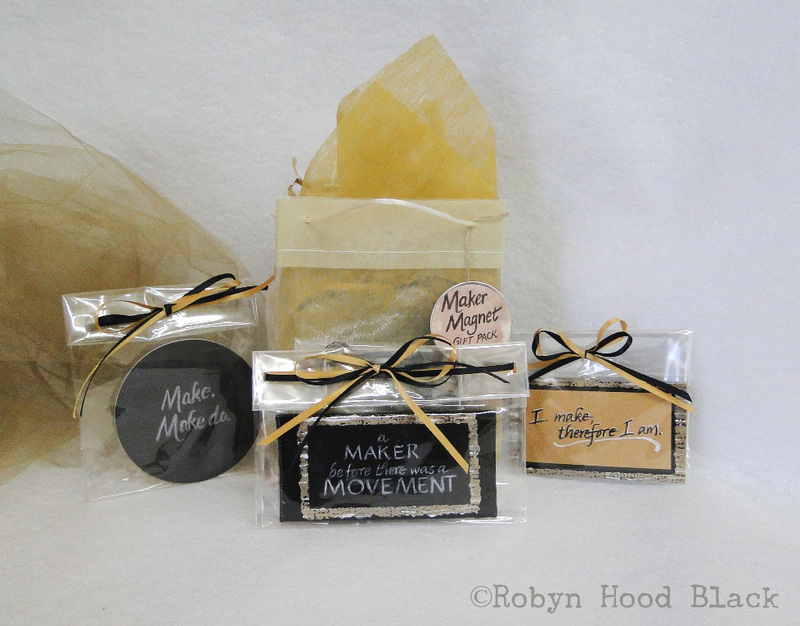 I’m restocking and creating new, fun items for you to choose from! 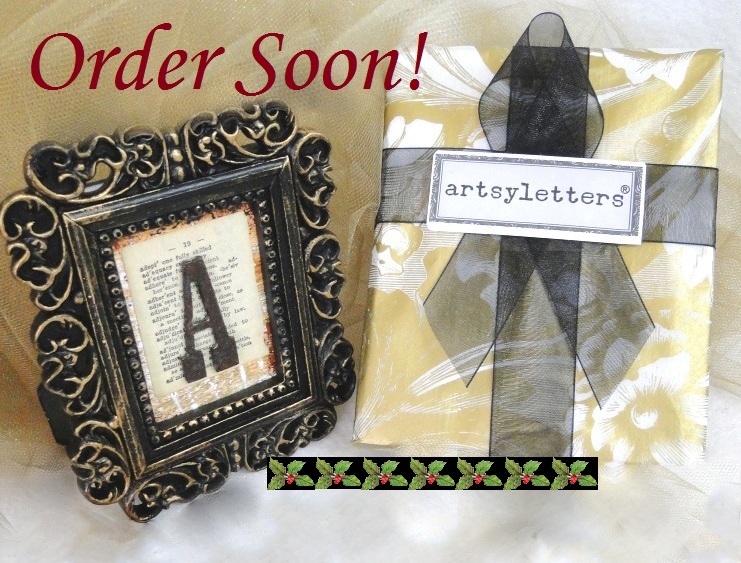 Artsyletter Elves Say Order Soon for Christmas! 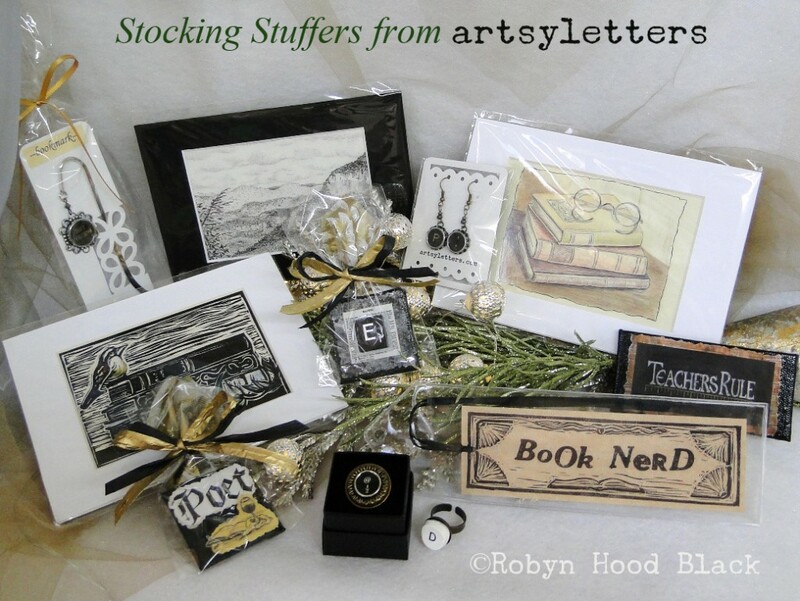 The artsyletters elves say they’ll need orders by the end of the week (Dec. 18) to get them shipped in the US in time for Christmas, according to USPS posted estimates. 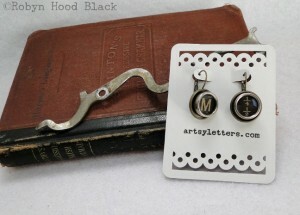 Readers, writers, or letter lovers on your list? 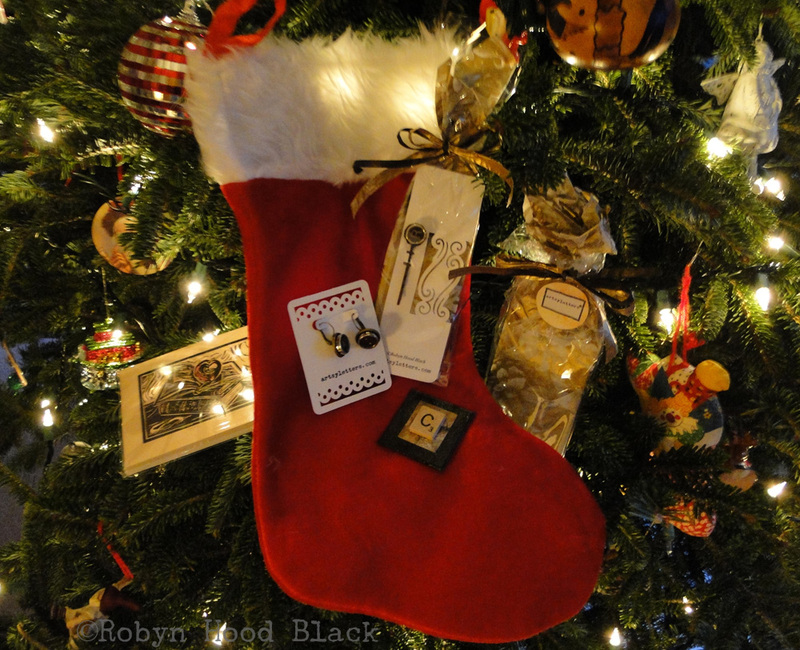 Find the perfect gift or stocking stuffer to bring a smile to their literary lips. 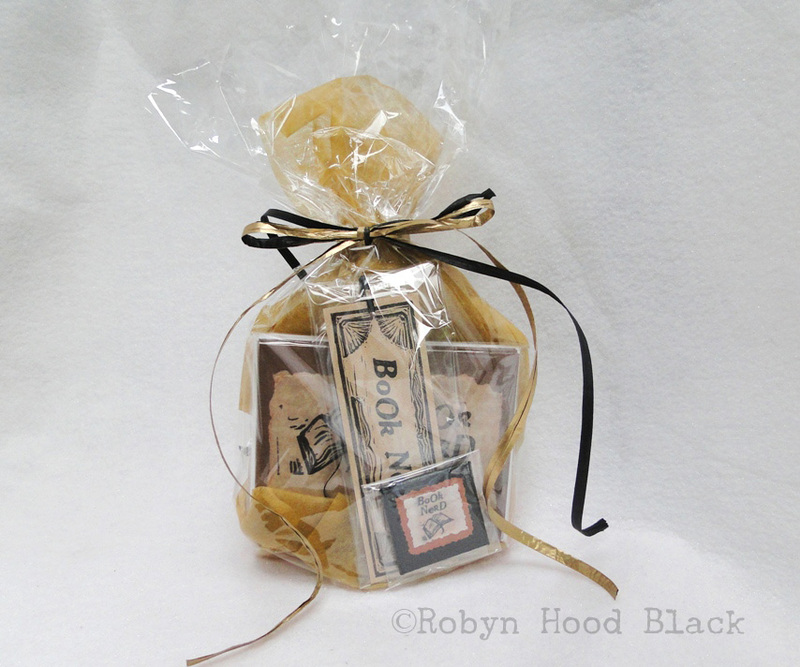 Use Coupon Code TAKE5 at checkout for 5 percent off your order. I hope you and yours are finding warm moments among these chilly, busy days. My warm moments with my loved ones have involved travel in recent days, but I’m back in one of Santa’s satellite workshops creating, listing, wrapping, and packaging. 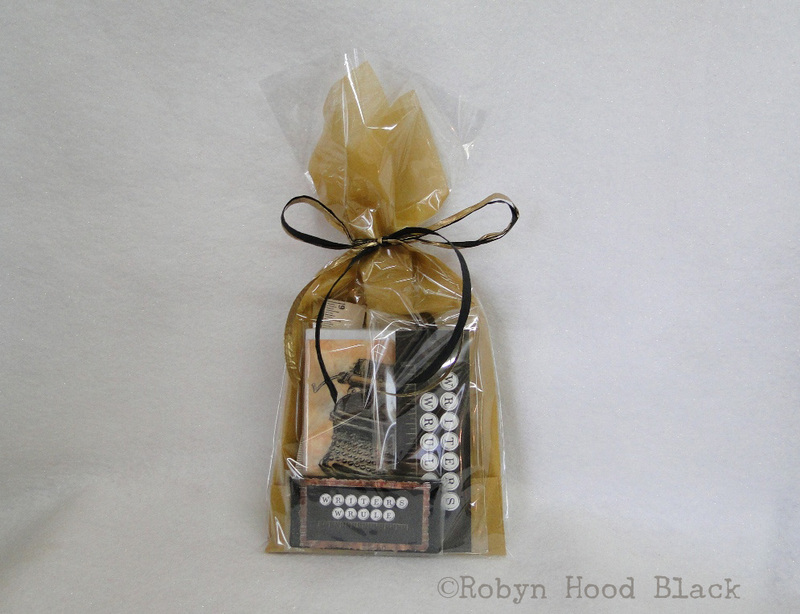 Oh, and making lots of trips to the Post Office. 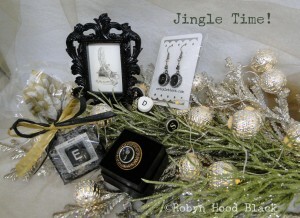 Many thanks to my wonderful customers, friends, and creative supporters – you’ve made my season *B*R*I*G*H*T ! Cheers with cocoa and whipped cream… back to it! Art Break Wednesday: Hear Those Jingles? 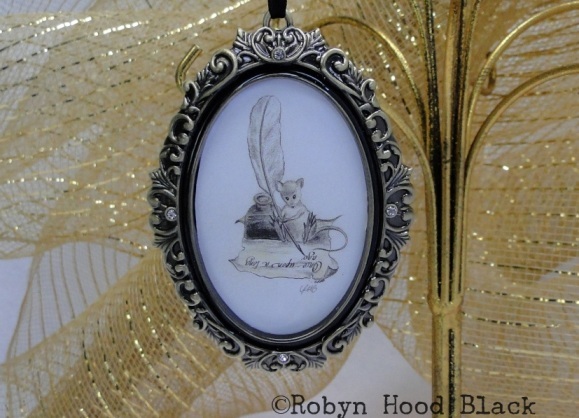 Miniature “Writer Mouse” Christmas ornament. Click to learn more! 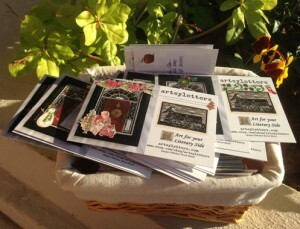 My little basket full of holiday promotional postcards went to the post office yesterday, too – all dressed up with holiday stickers. 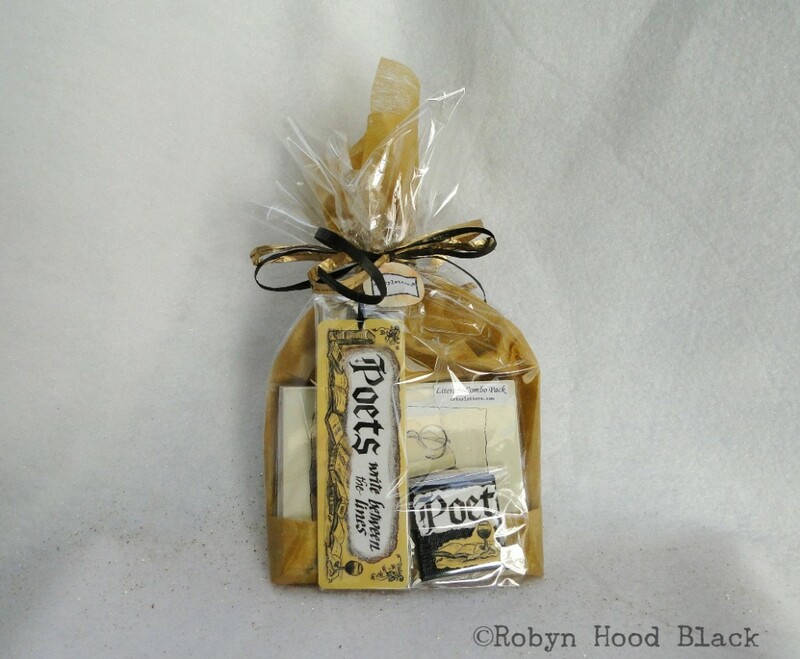 Do you have any book lovers, teachers, librarians, writers or poets on your holiday list? 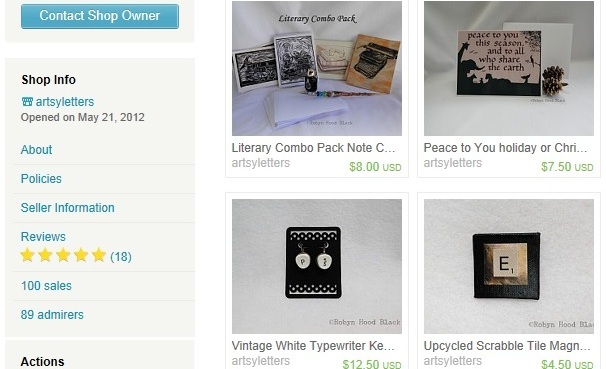 I hope you’ll check my Etsy shop, where I’m continuing to add items each week. 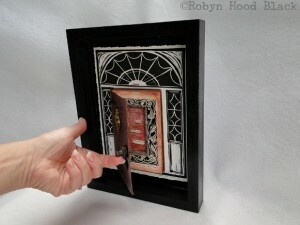 Maybe some art for a literary type? 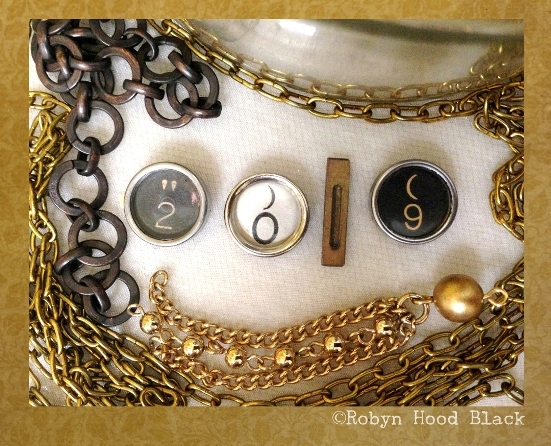 Note cards perhaps, or bookmarks, magnets, fancy matted initials… Feel free to browse around the shop and ask me any questions! I really do love creating items that others will enjoy. 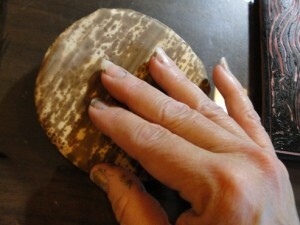 In fact, here’s a sneak peek at my version of a manicure this week- ink under the fingernails, paint on top. Just the way I like it! 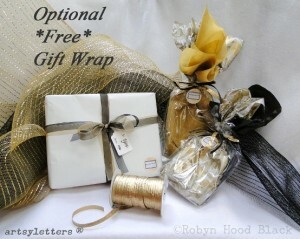 Oh – and I’m always happy to provide FREE GIFT WRAP with a hand-lettered tag. Raising a cup of cocoa with wishes for lots of happy jingles in your corner of the world. Now… break’s over – I’ve got to get back to work!